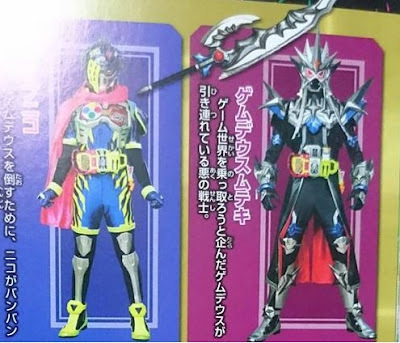 Time for another Kamen Rider EX-AID Another Ending news as we bring you the the scoop on Nico's new Gamer Rider form, a revived Gamedeus and a new character in the cast! 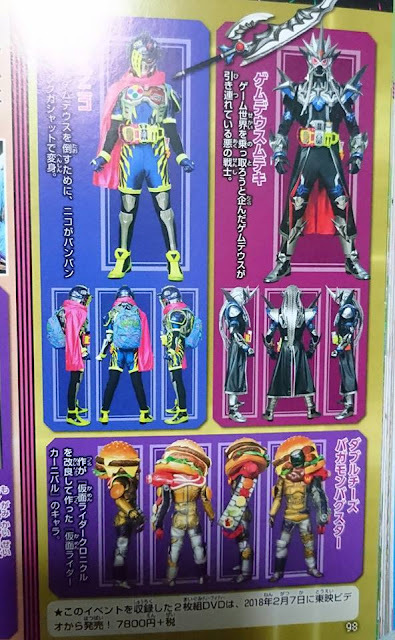 And it's never a surprise as Toei brings us another bunch of repainted suits starting with Kamen Rider Snipe Nico, a repainted version of Taigs's suit complete with pink cape and a backpack. Then we have a new evolution for Gamedeus which is called Gamedeus Muteki (which was first seen in the last Kamen Rider EX-AID live show). Also, Burgermon Bugster will evolve into Double Cheese Burgermon Bugster. 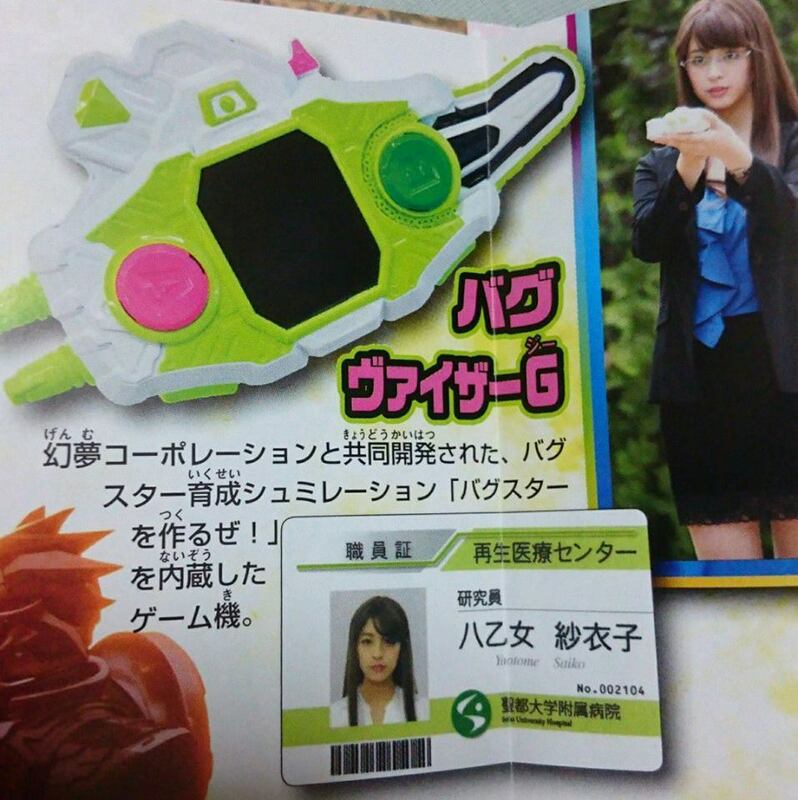 Lastly, we introduce you all to Saiko Yaotome, who will later introduce the 3rd (again, repainted) and new version of the Bugvisor called the Bugvisor G.